A detailed market analysis to 2022 for Western Europe, CEE and North Africa in a single report. A breakdown of the market by major sector. An in-depth analysis and comment on the key market trends impacting the European EMS Industry. A ranking and detailed profiles of the Top 25 EMS providers in Europe. 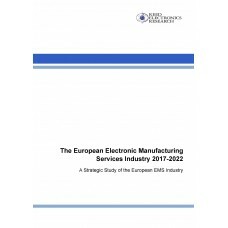 An overview of electronic production and EMS manufacturing in the major countries and regions including a ranking of the Top 15 companies and profiles of the major players. A directory by country of the EMS manufacturing locations with addresses, contact numbers, websites. An appendix with the estimated sales turnover for 2017 for the Top 50 European EMS providers and the Top 50 European-owned EMS companies based on global revenues. - Distributors and manufacturers of electronic components and materials - the profiles and directory provide a detailed analysis of potential customers, highlights growth markets by sector and country/region. The understanding and interpreting of the market trends will also be important as this market further develops. - Production equipment suppliers – the profiles and directory provide a detailed analysis of potential customers, track key EMS trends and provide location information. - OEMs – A comprehensive guide to the major EMS companies in Europe in detail and further listing of EMS companies by geographic location. We analyse the structure of the industry and the emergence of the four distinct groups of EMS company. 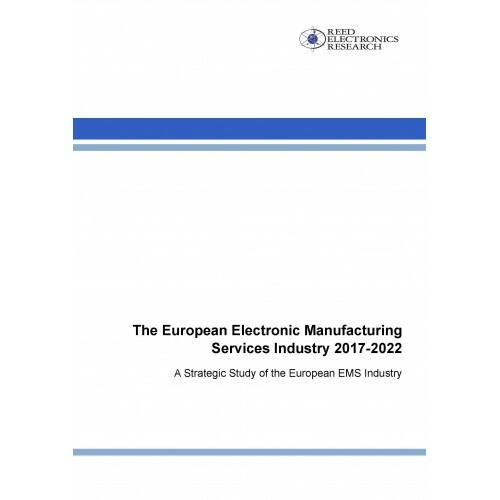 - EMS – The report provides a complete overview of the European EMS industry, including revenue forecasts by country, competitor information and the trends which will have an impact on business in the period from 2016 to 2021. - Government, including investment organizations. - Financial and industry analysts. - Academic institutes & universities tracking developments in the electronics industry. Europe will continue to provide significant opportunities for companies already involved in the European EMS industry. It will also offer opportunities for companies in Asia and the Americas who are looking to expand geographically into new markets. The European EMS Industry report allows you to track these developments in a single cost-effective study providing both detailed market and company analysis. Austria; Belgium; Denmark; Finland; France; Germany; Ireland; Italy; Netherlands; Norway; Portugal; Spain; Sweden; Switzerland; United Kingdom; Central & Eastern Europe (Bulgaria; Czech Republic; Estonia; Hungary; Lithuania; Poland: Romania; Slovakia; Slovenia, Russia, Ukraine, Other); North Africa (Morocco, Tunisia); Israel. Available in PDF and CD-Rom formats.